She is definitely Wonder Woman! For the second time, Alysia Montaño ran in the USA Championships while pregnant. 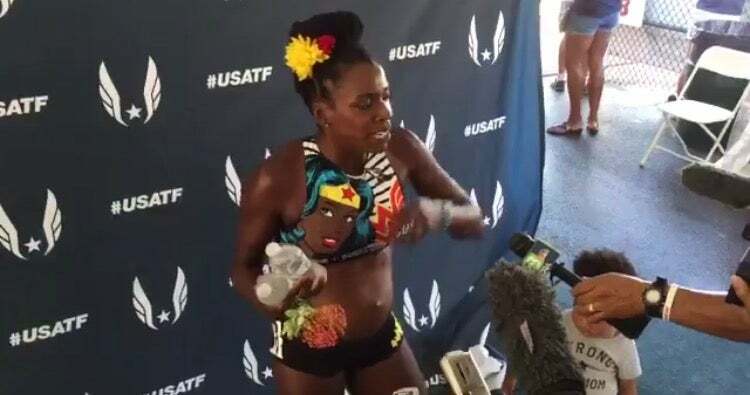 She was four months along during her race this year—and to make her even more of a wondrous badass than she already is, she wore a Wonder Woman kit for the occasion. She was all smiles across the finish line and shared some remarks with the press after her race, including Citius Mag, with daughter Linnea next to her wearing a “Strong Like Mom” shirt and walking all around her. Too adorable. Watch her full interview here, courtesy of Citius Mag.